Hearing loss, also known as hearing impairment, is a partial or total inability to hear. It occurs as a result of damage or deterioration to any part the hearing system. Hearing loss may occur suddenly or gradually over time, and may affect both of your ears or just one ear. Hearing loss can affect people of any age, although it is a lot more common in older adults. Conductive – Occurs when sounds are unable to pass from the outer ear to the inner ear, which makes them sound softer and less easy to hear. This type of hearing loss is usually caused by fluid or earwax in the middle ear and can often be corrected medically or surgically. Sensorineural – Occurs when the hearing nerve or the tiny hair cells in the cochlea are damaged. This type of hearing loss reduces our ability to hear quiet sounds and reduces the quality of sound that is heard. Mixed – Occurs when a person has an existing sensorineural hearing loss in combination with a conductive hearing loss. Age-related (presbycusis) – Hearing loss occurs as a result of the degeneration of the tiny hair cells that line the cochlea due to ageing. Hearing loss caused by ageing often occurs in both ears and is irreversible, but the ability to hear can be improved with the use of hearing aids. Congenital – Hearing loss that is present at birth. It can be caused by genetic and non-genetic factors, such as maternal infections, birth injuries and complications due to jaundice. Noise-induced – Loud noises damage the tiny hairs that line the cochlea. Noise-induced hearing loss can result from a one-time exposure to a very loud sound (such as an explosion) or over an extended period of time. 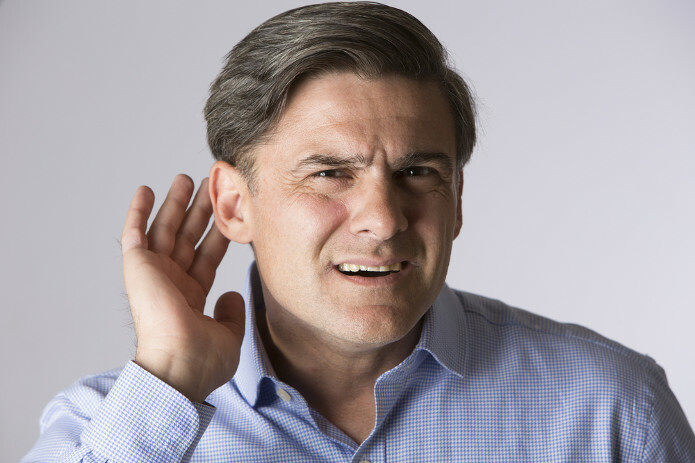 There are different types of noise-induced hearing loss including Sociocusis, which refers to hearing loss as a result of repeated exposure to everyday noises such as traffic noises and electrical equipment. For most people, hearing loss is a gradual process that initially goes unnoticed. Family members and friends will often notice the signs first, and the person with hearing loss is sometimes the last to recognise that their hearing has deteriorated. There are approximately 10 million people in the UK with some form of hearing loss or deafness (1 in 6). Most of these people have developed hearing loss at an increased age. In the next 20 years, it is predicted that the number will rise to 15.6 million people living with hearing loss.